In the last one week, there were two different court pronouncements on Zamfara State All Progressives Congress (APC) primaries â€“ one coming from a High Court in Zamfara and an Abuja High Court issuing a different order concerning INEC decision excluding the APC from the state from the coming elections as a result of not conducting their primaries within deadline. 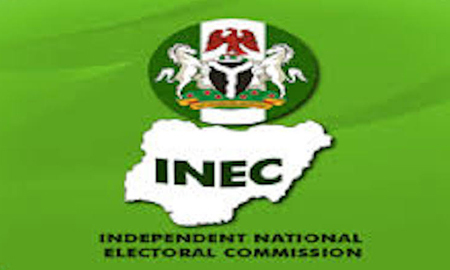 This is aside the 52 petitions on protests from aggrieved party aspirants received by the commission â€“ all have financial implications for INEC. Prof Yakubu said: â€œOn our part, there are two major areas of concern. First is the issue of conflicting judgements arising from pre-election and post-election cases. As a firm believer in the rule of law, the commission always obeys court orders or, where it is considered necessary, appeals them in the interest of justice. â€œThere have been over 1,200 cases involving the commission since the 2015 general elections and not in a single case has the commission disobeyed a court order. However, conflicting judgements, especially by courts of co-ordinate jurisdiction at the high court level, are putting the commission in a very difficult position and creating uncertainty in the process. â€˜The court in one judicial division may order the commission on a particular course of action only to be contradicted by another court of coordinate jurisdiction from another division or even within the same division on the same subject matter. Conflicting court orders are negatively affecting the consistency, neutrality, and public perception, not only of the commission, but the judiciary as well. There is, therefore, the urgent need to address the issue of conflicting judgements in order to engender certainty in the electoral process.